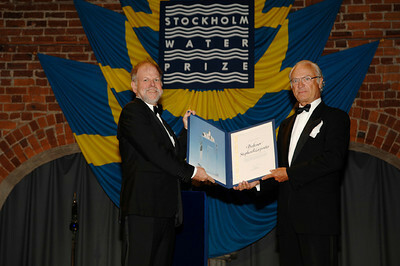 Steve Carpenter is the 2011 laureate of the Stockholm Water Prize. This gallery features a few of the images from the ceremonies held during the World Water Week held in Stockholm on August 25, hosted by the Stockholm International Water Institute. 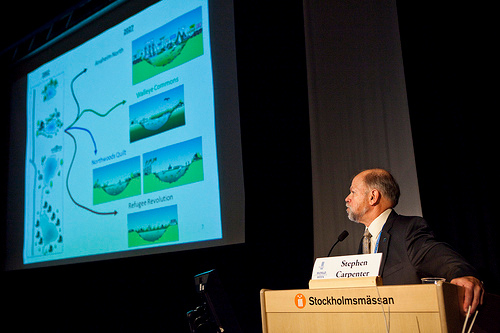 All images within this gallery were taken by the Stockholm International Water Institute, and are shared by the SIWI under the Creative Commons license. 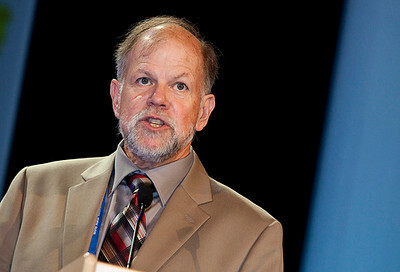 Steve Carpenter speaking during the opening plenary session, Monday 22 August, 2011. Photo by the Stockholm International Water Institute under the Creative Commons license. 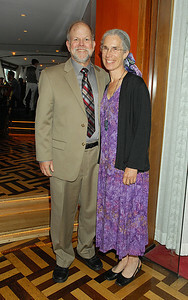 Steve and Susan Carpenter, laureate dinner. Photo by the Stockholm International Water Institute under the Creative Commons license. 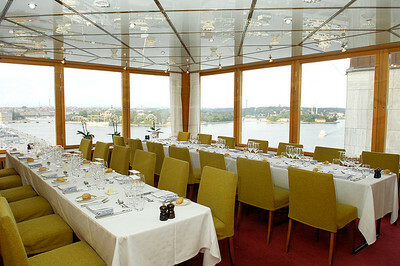 Gondolan Restaurant, laureate dinner. Photo by the Stockholm International Water Institute under the Creative Commons license. 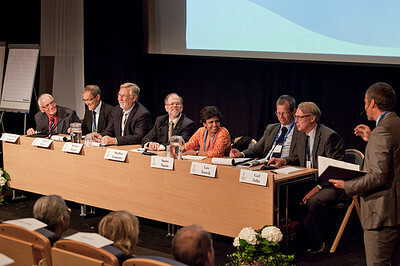 Panel session on Thursday 25 August 2011. Photo by the Stockholm International Water Institute under the Creative Commons license. 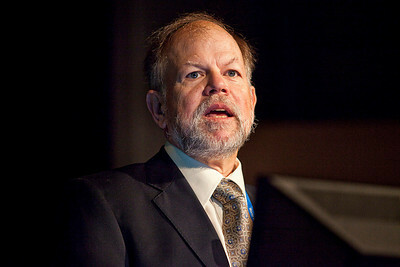 Steve Carpenter during his presentation on Thursday, 25 August 2011. Photo by the Stockholm International Water Institute under the Creative Commons license. 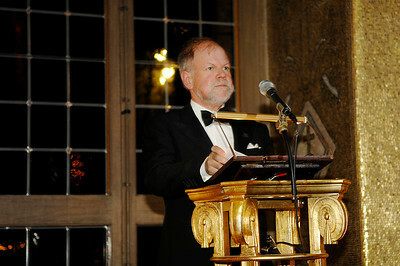 Steve Carpenter, during his presentation on Thursday 25 August 2011. Photo by the Stockholm International Water Institute under the Creative Commons license. 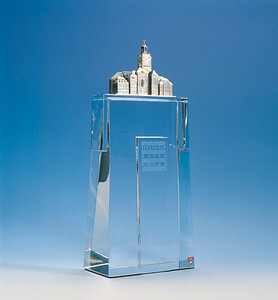 The the Water Prize crystal sculpture with the event banner. Photo by the Stockholm International Water Institute under the Creative Commons license. 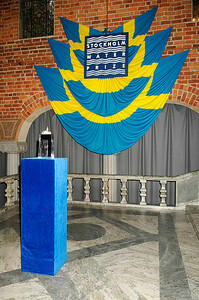 Stockholm Water Prize Sculpture, created by Orrefors. Photo by the Stockholm International Water Institute under the Creative Commons license. 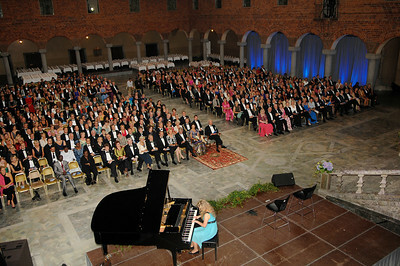 A view of the award ceremony performances, in the Blue Room. The Carpenters are seated in the front row, far right. Photo by the Stockholm International Water Institute under the Creative Commons license. 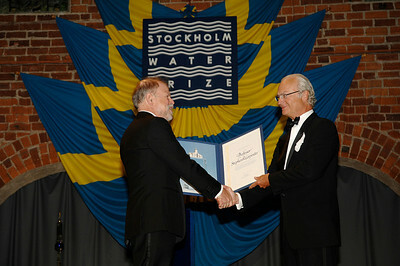 Steve Carpenter receives the Stockholm Water Prize from His Majesty Carl XVI Gustaf, King of Sweden. Photo by the Stockholm International Water Institute under the CrCreative eate Commons license. 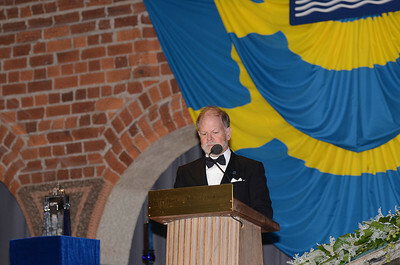 Steve Carpenter and His Majesty Carl XVI Gustaf, King of Sweden. Photo by the Stockholm International Water Institute under the Creative Commons license. Steve Carpenter during his acceptance speech. Photo by the Stockholm International Water Institute under the Creative Commons license. Steve Carpenter during his brief acceptance speech. Photo by the Stockholm International Water Institute under the Creative Commons license. 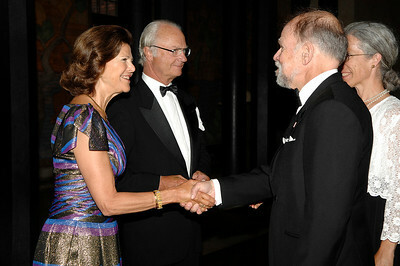 From right to left, Queen Silvia, King Carl XVI Gustaf, Steve Carpenter, Susan Carpenter. Photo by the Stockholm International Water Institute under the Creative Commons license. 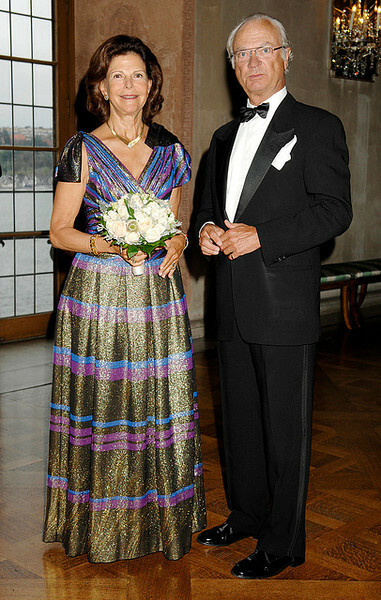 Their Majesties King Carl XVI Gustaf and Queen Silvia of Sweden. Photo by the Stockholm International Water Institute under the Creative Commons license. 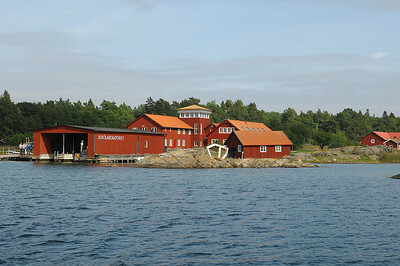 Asko Laboratory, Trosa archipelago, Sweden. Photo by the Stockholm International Water Institute under the Creative Commons license. 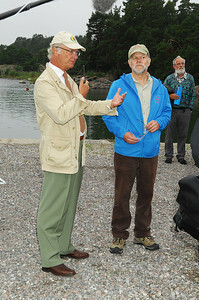 King Carl XVI Gustaf and Steve Carpenter during the Asko Laboratory field trip. Photo by the Stockholm International Water Institute under the Creative Commons license. 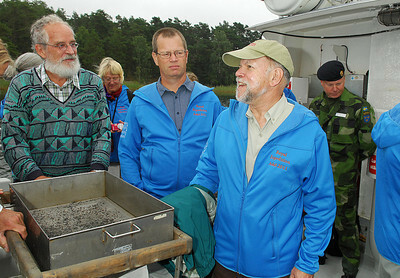 Nils Kautsky, Lars Tranvik, Steve Carpenter on board the Aurelia. Photo by the Stockholm International Water Institute under the Creative Commons license. 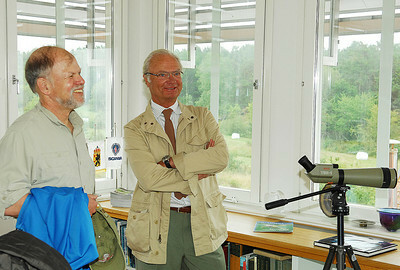 Steve Carpenter and King Carl XVI Gustaf in the crows nest, Asko Laboratory. Photo by the Stockholm International Water Institute under the Creative Commons license. 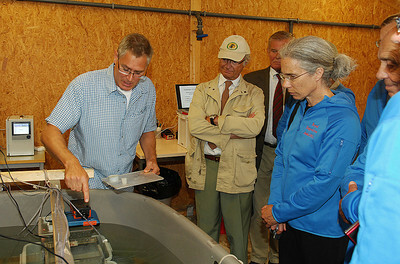 The group observes a tank experiment at Asko. Photo by the Stockholm International Water Institute under the Creative Commons license. 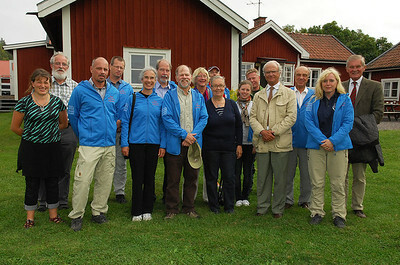 Group photo on Asko, from left to right: Sarah Cousins, Nils Kautsky, Jonas, Lars Tranvik, Susan Carpenter, Per-Arne Malmquist, Steve Carpenter, Ruta Malmquist, Erik Kristensen (barely visible in back), Lena Kautsky, Cajsa Larsson, Richard, King Carl XVI Gustaf, Erling Norby, unknown, Peter Forssman. Photo by the Stockholm International Water Institute under the Creative Commons license.